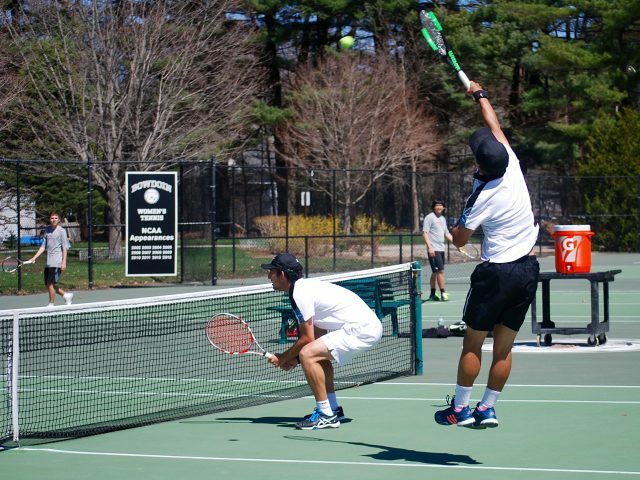 The men’s tennis team (14-3, 5-2 NESCAC) heads into its last weekend of the regular season looking to recover from a disappointing 7-2 loss to Bates (6-9, 5-3 NESCAC) on Wednesday. The defeat is the Polar Bears’ first loss to a team outside of the top five in the Intercollegiate Tennis Association (ITA) Division III rankings and ended a three-game win streak the team had developed after a tough loss to No. On Tuesday, the baseball team (7-12, 0-3 NESCAC) won its first game since returning from a spring break training trip to Florida, beating the Brandeis Judges 5-2. Cody Todesco ’19 scored a run and had two RBIs and Brandon Lopez ’19 went 3-for-4 at the plate.